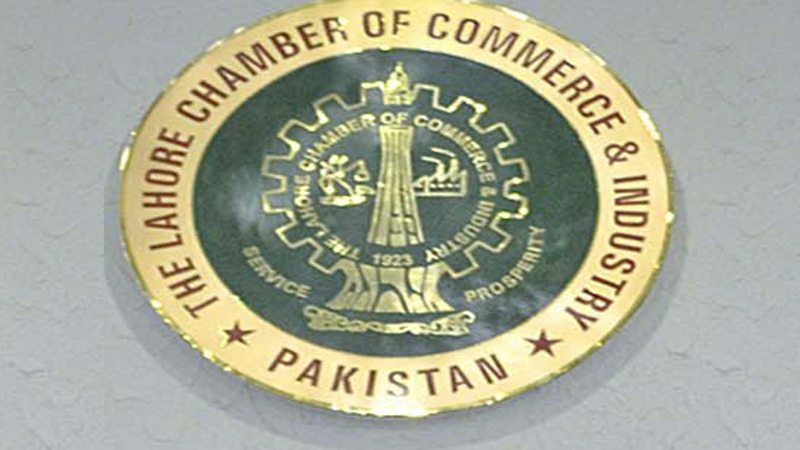 LAHORE: The Lahore Chamber of Commerce & Industry (LCCI) has emphasized the need for a result-oriented budget aimed at addressing the miseries of trade, industry and economy. In a statement issued here on Monday, the LCCI President Malik Tahir Javaid said that Federal Budget is the most important document of any country as it sets economic directions the entire year. “It is important that Budget for FY 2018-19 should have doable suggestions of business community in its fold”, the LCCI President added. Malik Tahir Javaid said that Pakistan is energy and water starved country and needs to make substantial investment for the development of power sector infrastructure that is capable of meeting the growing needs of the economy. He said that government should ensure substantial amount of public investment first into generation, transmission and distribution infrastructure for closing the demand and supply gap. The LCCI President said that to tackle circular debt on sustainable basis – ultimately Pakistan has to ensure that the electricity power sector is efficient and competitive. This would require consistent structural and institutional reforms. In particular, removing subsidies and adherence to full cost recovery will have to be ensured. He said that tariffs should fully reflect normal profits. The sector’s large debt overhang also needs to be eliminated on sustainable basis. Malik Tahir Javaid said that in view of the substantial and untapped potential of alternative sources of energy, we propose that 5% of the allocated funds should be dedicated to the development of bio-fuels, bio-mass and other renewable sources of energy. The technology is already available to produce energy by various resources such as Jatropha etc. He said that Jatropha is already being used to produce bio-diesel in a number of countries such as India, Brazil, Philippines, etc. He said that these plants can be easily grown on poor quality, waste or arid land which is abundantly available in various parts of the country such as Cholistan. He further stated that biomass including wood, dung, agriculture residues which is available at a very low cost in Pakistan can also be used for energy purposes. He said that Kalabagh dam should not be sacrificed to the political wills of some elements. It is not just a project, it is a fate changer. He said that one million acre feet of water gives benefit $ 2 billions annually to the economy while Pakistan is throwing 35 millions acre feet of water to the sea because of delay in construction of Kalabagh Dam that’s mean that we are wasting $ 70 billion annually. He said that Kalabagh dam should be announced in the forthcoming budget. About taxation, the LCCI President said that neither the existing system is economically neutral, taxpayer friendly, equitable, progressive nor facilitative and supportive to generate healthy business activities for all. Taxation is of course important source of revenue collection but tax policies must be based on the best international practices and universally accepted canons of taxation. It is a matter of serious concern that with the existing narrow tax-base, the policy makers instead of revolutionize the tax policy options, seems defendant on the burdening of the existing taxpayers. He said that various distortion in the existing tax policies can be removed if the feedback of all the representatives of business organizations is given due consideration by the FBR authorities. It is universally admitted fact that public policy makers can make noticeable difference by linking their mindset to ground realities. He said that number of taxes and frequency of paying taxes must be reduced. Moreover, taxes may be paid quarterly instead of every month. For that matter, all para-tariffs must be merged in the main tariffs. Similarly, there should be electronic communication between taxpayers and tax departments. These proposals can make noticeable difference and win the confidence of taxpayers. He said that section 38-B of Sales Tax Act, 1990 is being adversely used by the officials of tax department that must be stopped. About CPEC, Malik Tahir Javaid said that projects like this have potential to stimulate local economy by increasing the demand of locally manufactured goods. Such increase in demand will not only allow full utilization of existing manufacturing capacity but will also encourage manufacturers to increase their capacity. He said that unjust and encroaching mindset of field formations has drawn the confidence level between the FBR officials and the Taxpayers at the lowest level. Illegal recovery through bank account attachment is genuinely harassing and creating hardship for the business community. Recovery through attachment of accounts should not be allowed at all. Malik Tahir Javaid said that the LCCI has serious reservations with regard to current performance of FBR for disbursing refund cases of Sales Tax and Income Tax. The Exporters are suffering the most because they are facing serious issues of shortage of working capital. All the backlog of refunds should be cleared within two months upon the filing of return.